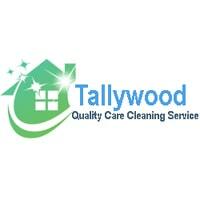 Organization Type – Cleaning Company Contacts: Mobile: +255745970289 Website –www.tallywood.co.tz email info@tallywood.co.tz (only use these contacts). The person should be willing to work unlimited hours. For the first month we will be paying only 240,000 TZS. In the second month we will negotiate based on the performance for a new pay. This is very demanding job and requires unlimited working time, sometimes up to 10 PM. Therefore you need to think before applying. The probation period for this job is two months maximum. Depending on your performance. Please do not send your application through info@tallywood.co.tz. Organization Type – Catering Company Contacts: Mobile: +255745970289 Website –www.disneyfood.co.tz email info@disneyfood.co.tz (only use these contacts). The person should be willing to work unlimited hours. For the first month, we will be paying only 240,000 TZS. In the second month, we will negotiate based on the performance for a new pay. This is very demanding job and requires unlimited working time, sometimes up to 10 PM. Therefore you need to think before applying.